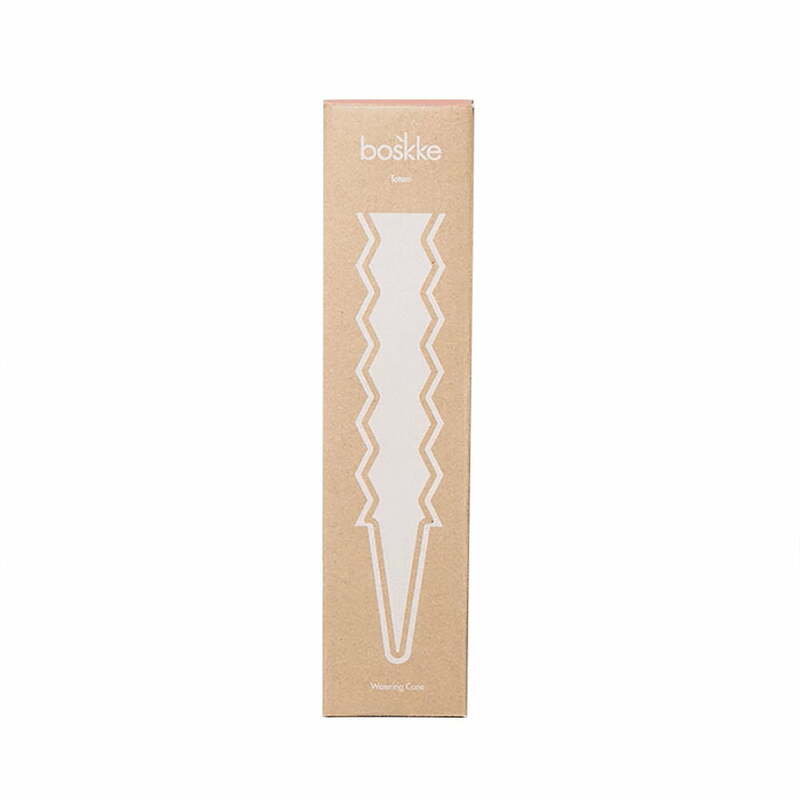 The Totem Irrigation Cone from Boskke is a practical accessory and an innovative addition to all plant pots. 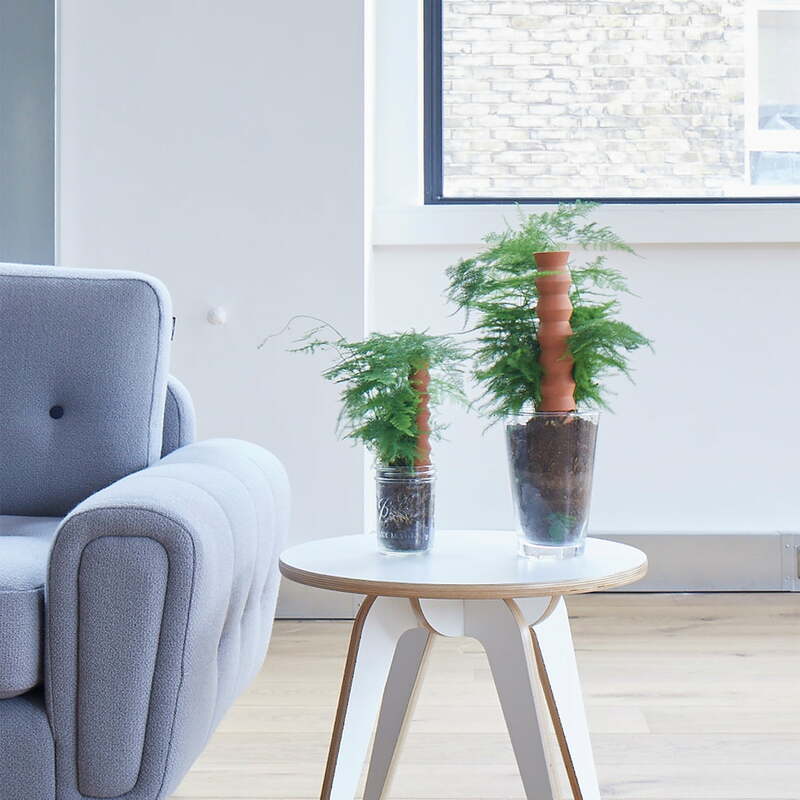 The Totem integrates the Slo-Flo irrigation technology into any conventional flower pot and thus easily prevents hyperhydration of the plants. 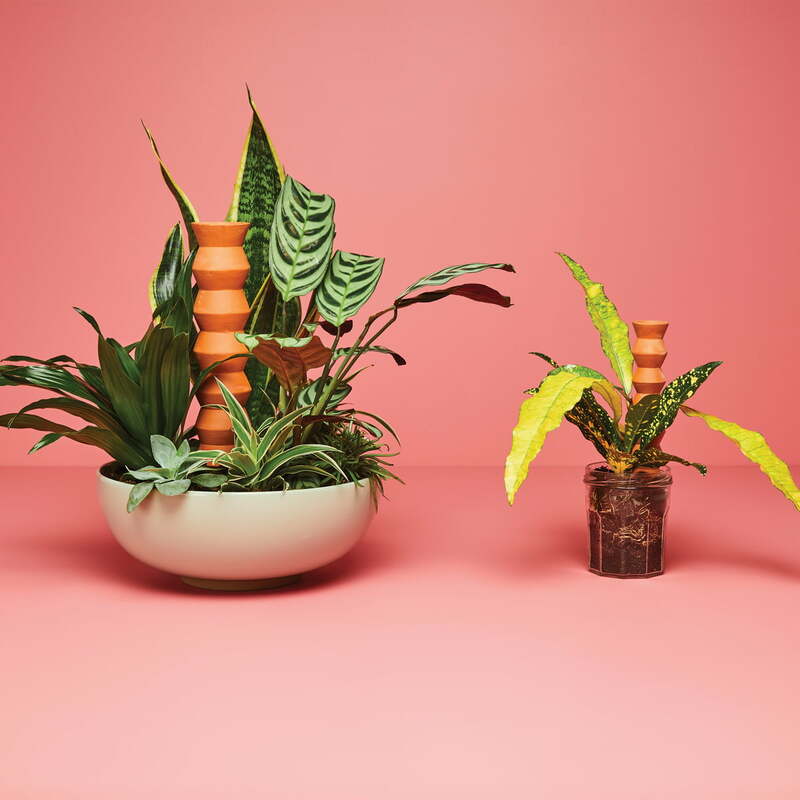 The Totem Irrigation Cone is made of terracotta and is available in different sizes for flower pots of different sizes. Like a totem pole, the irrigation cone protrudes from the ground, creating an exciting contrast to the organic flowers and leaves of the plants. The Slo-Flo Totem is easy to fill and gradually feeds the water to the roots of the plants. Flowers and plants are supplied with water for up to a week. 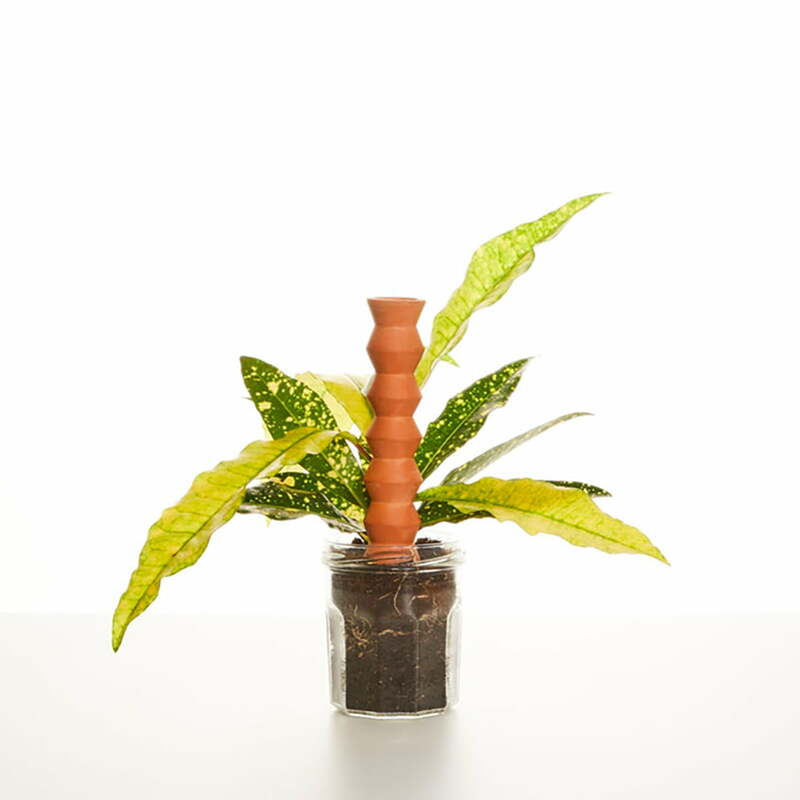 The Totem Irrigation Cone from Boskke is a practical accessory and an innovative addition to all plant pots. 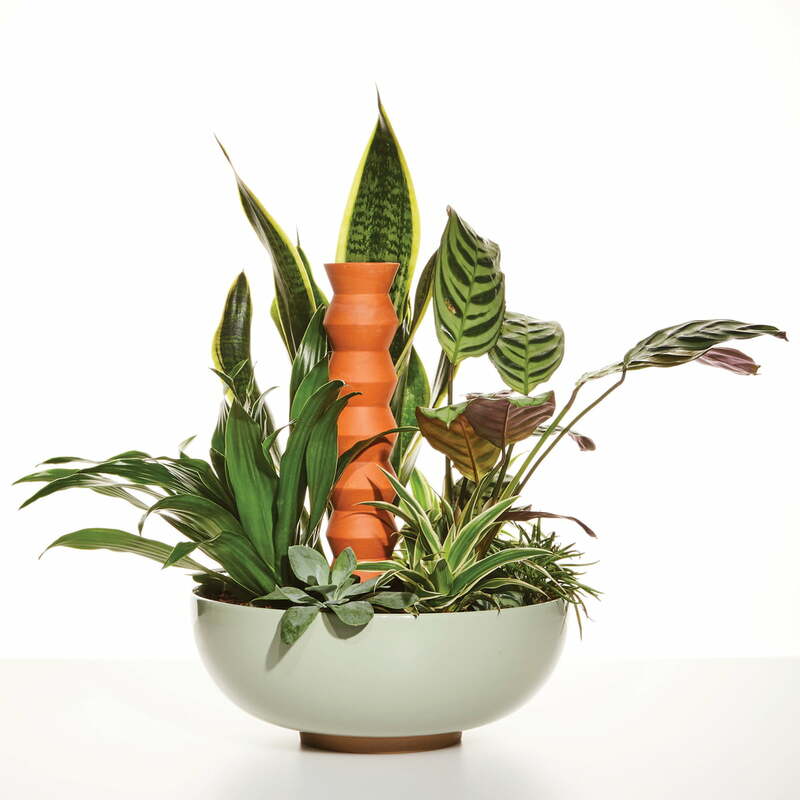 The terracotta totem integrates Slo Flo irrigation technology into any conventional flower pot. The Totem Irrigation Cone is made of terracotta and is available in different sizes for flower pots of different sizes. Like a totem pole, the irrigation cone protrudes from the ground, creating an exciting contrast to the organic flowers and leaves of the plants.